At Bloom Fresh Flowers, our designers and artisans understand the importance of high-quality holiday decor. 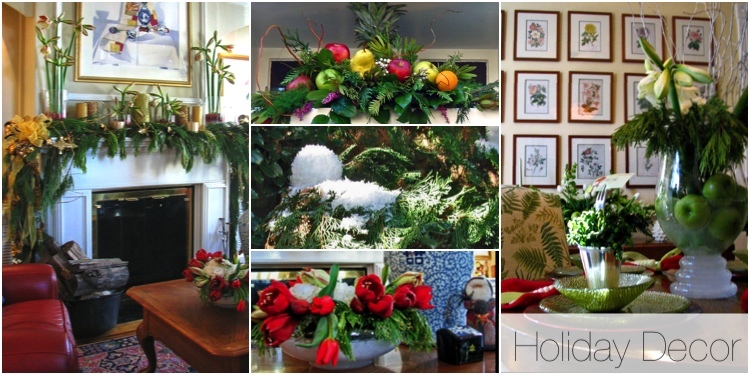 We have been doing holiday decorating for homes, venues and businesses throughout Northern Virginia and Washington DC since 2006, and we have been doing it with a taste level and expertise that represents your holiday floral style. We do it all - Christmas trees, wreaths, evergreen garland or holiday center pieces. Bloom Fresh Flowers handcrafts unique and customized holiday creations that radiate with light and creativity. Whether you celebrate Christmas, Hanukkah or simply the spirit of the season - we will create a cheerful, lively atmosphere with flowers accented by holiday greens and ornaments or traditional poinsettias that will make the season bright. Please call Stephen at 703-299-9929 to set up a free consultation. You will discuss your vision and Stephen will create a customized Holiday plan that meets your needs and fits your budget.